Along the hot, dry desert of the Sahara, the Nile has created an oasis that enjoys extraordinary weather conditions. The two extremes combine to create ideal conditions for growing the world's best cotton - referred to as Giza cotton. All Giza cotton is assigned a number - the smaller the number the longer the staple and finer the thread. 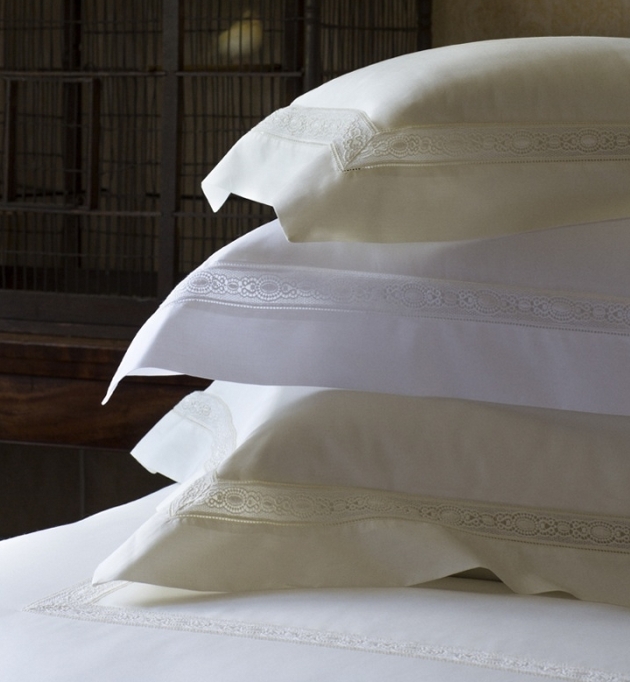 Many of the finest cotton sheets on the market are woven from Giza 70 cotton. Traditionally only seen in the finest men's shirts, Giza 45 cotton is exactly what makes Sferra's Giza 45 collection stand out from the pack. It is grown in a region named Kafir S'AD, responsible for 0.4% of the world's cotton production. The thread is so fine that introducing the Giza 45 collection required two years of research and development. 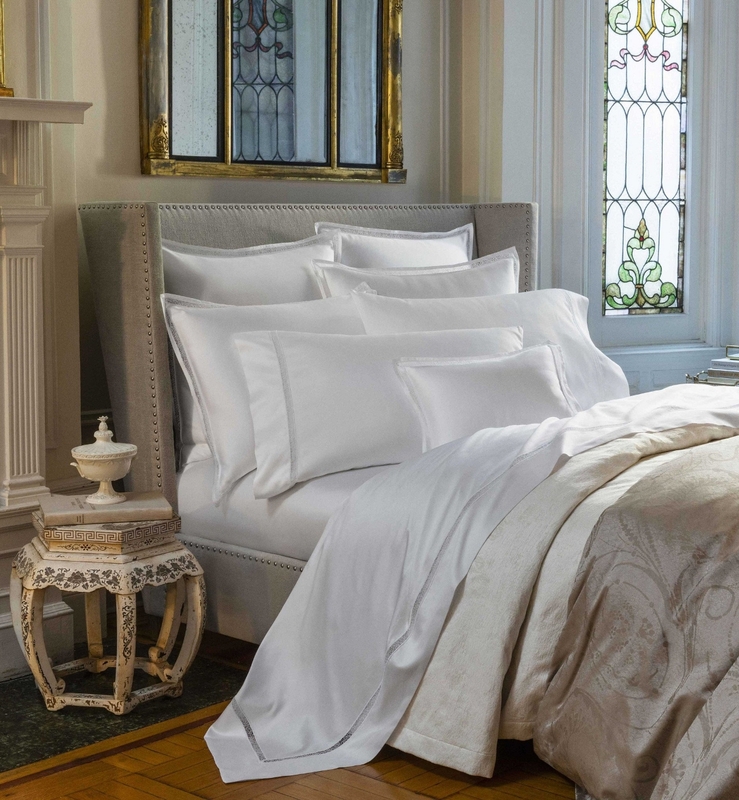 Choose a sateen weave or a percale weave; Giza 45 sateen collections are luxuriously soft and silky, yet also light with an airy feel. 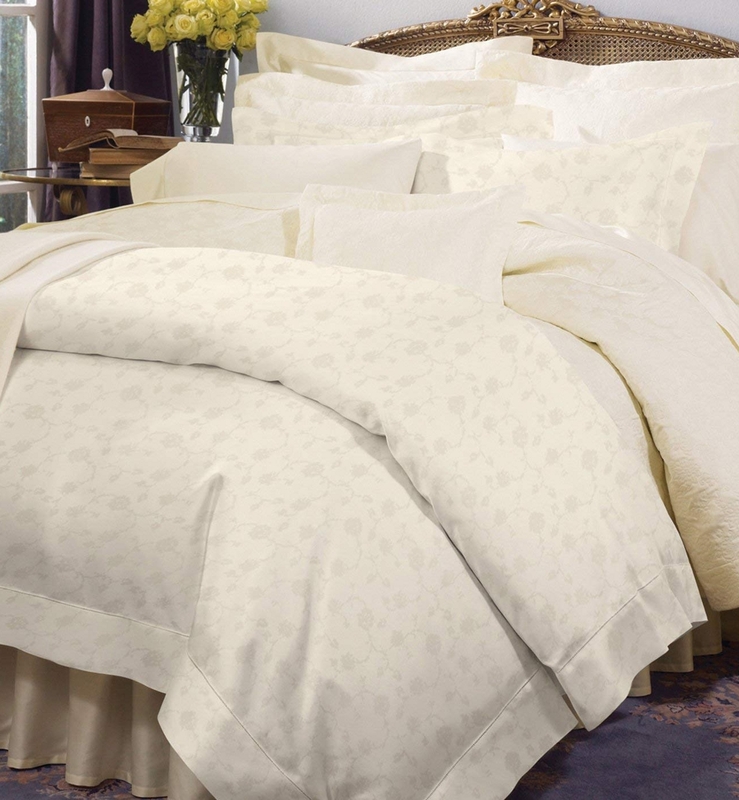 The percale sheet is just as soft and is exceptionally light and airy, but not as silky. In addition to options displayed above, Giza 45 bedding is now (March 2016) also available as: Giza 45 Medallion, a sateen jacquard adorned with Medallions (price is the same as Giza 45 Stripe), Giza 45 Trina, a sateen sheet with lace borders (price is slightly less than Giza 45 Stripe), and Giza 45 Luxe. 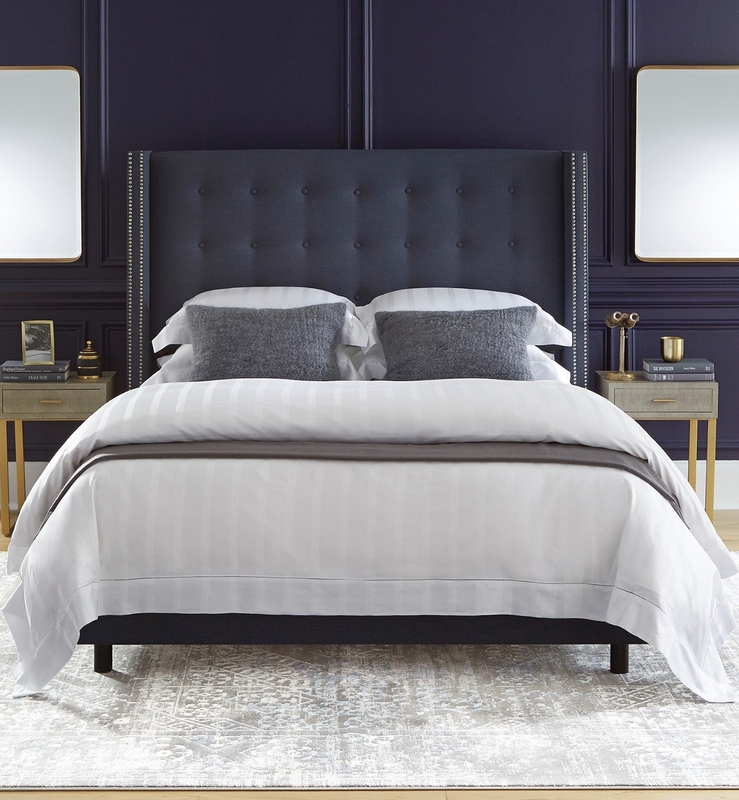 Giza 45 Luxe is an ultra-high thread count sheet; it runs close to $4,000 for a set and is available by custom order only.